Just days before Cleveland was set to compete in the East Regional Tournament, they lost a crucial member of their team when 18 year-old Melissa Caraballo, one of the team’s captains, broke her ankle crossing home plate. It was a setback that would have shaken many teams, especially with a trip to the RBI World Series on the line. Taking out Cincinnati by one run in extra innings of the East Regional championship game, the Cleveland RBI softball team finds themselves back in Minnesota for their fourth consecutive RBI World Series. The program has yet to notch a World Series title and the girls hope to change that this year, now that they have figured out how to be successful even without one of their most veteran players in the lineup. Caraballo — and her crutches — did make the trip with the team, her role as captain no doubt crucial to the success of this young team even if her motivation has to come from the sidelines. 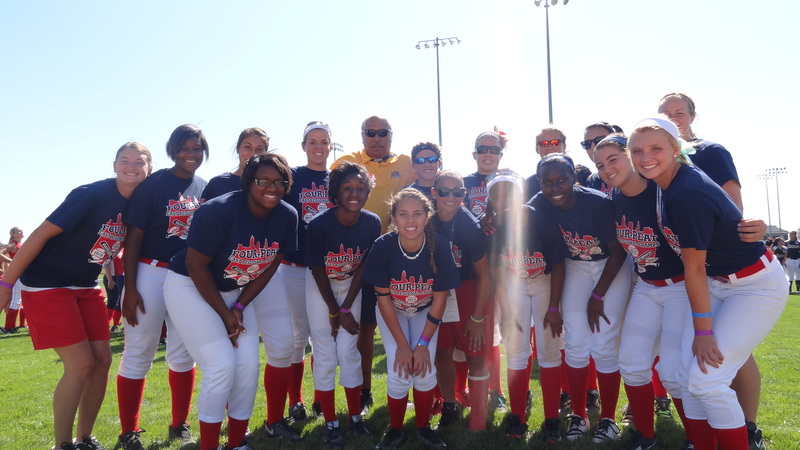 Coach Bzdafka has been with the RBI program for two years, while Coach Keri Simon is in her rookie season as one of the head coaches of the Cleveland RBI softball team. Both women are former players who have coached through different programs over the years as well. Cleveland lost their first game of the week to Harrisburg and are scheduled to play Hoboken Monday afternoon. The teams will play each team in their division twice before receiving their seeding for Saturday’s playoffs with the championship game being held at the University of Minnesota on Sunday. But regardless of where Cleveland finds themselves at the end of the week in Minnesota, Coach Bzdafka is confident in the team’s future.